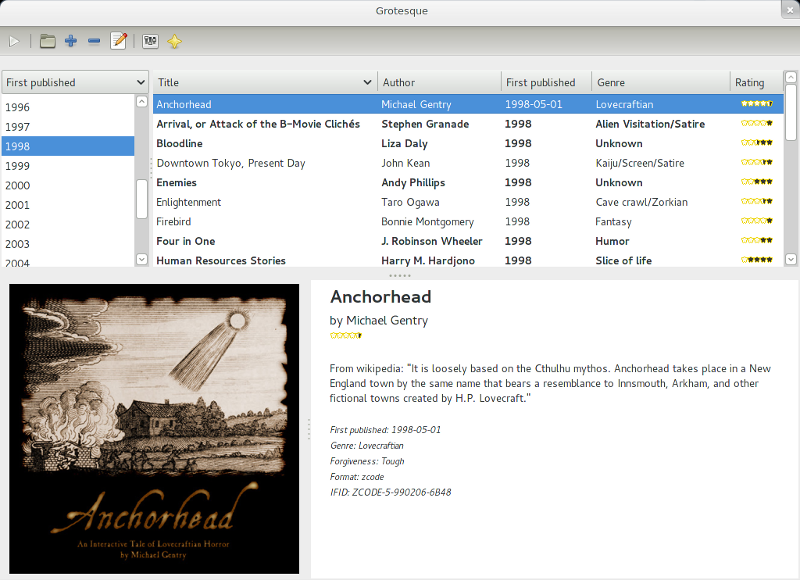 Grotesque is a utility that helps you manage your collection of interactive fiction, or text adventures. It collects bibliographic and other information from story files and presents a convenient interface to build and organize a catalog of your games. Supports all formats covered by the Treaty of Babel for extracting metadata from story files, but you can define your own formats with their own associated interpreters and you may manually add metadata for any file.